Do you know what’s worst than downtime? A few years ago, Vogue U.K went through an awkward situation. 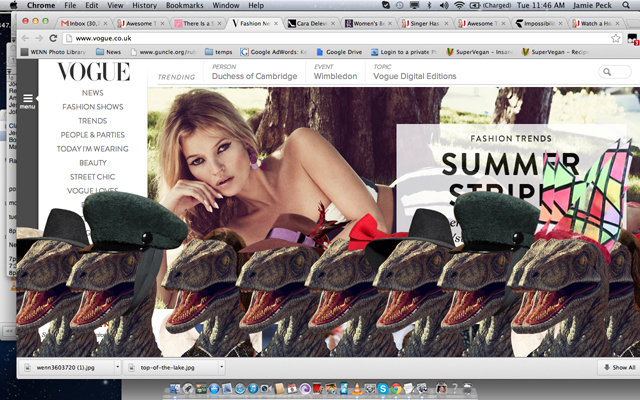 One part of its site’s content was replaced by dinosaurs wearing fancy hats. While it might sound funny, it hurt the company’s image! Because unlike your content, your website is available! But don’t panic, there is a solution. I’ll show you how to detect ANY changes made on your website with a simple trick. Avoid ending-up like Vogue and be alerted when your site is victim of content hacking! What are the direct impacts? Why your site’s content disappeared? How to prevent your site to be defaced? 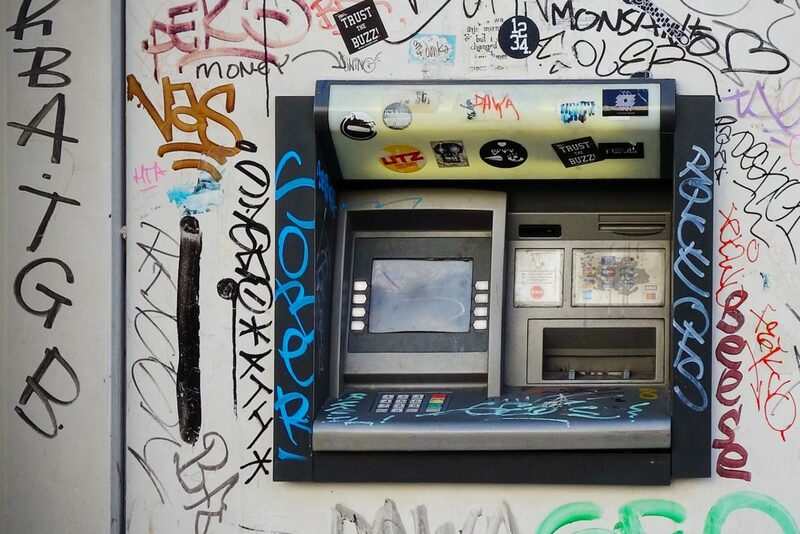 Website defacement is similar to graffiti on a wall, only it happens virtually… and on your site! It implies that your website’s appearance changed and was replaced by either pictures/words. And all of that against your will. In other words, it shows to the world that your website is weak! 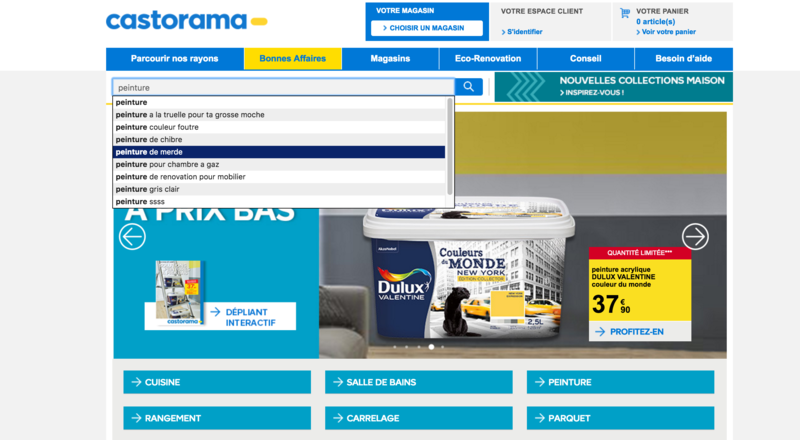 In 2016, Castorama’s (French DYI) website was hacked. Its search engine was poisoned and returned nasty results such as “saw to cut a body” or „Hammer to kill“. Just like for Vogue’s site, visitors spread the awkward news through social media (mostly Twitter). Castorama noticed it only a few hours later and closed down the website to fix the issue. Consequently, it killed its credibility after the media exposure! Apply this tip for avoiding Castorama’s situation. Ranking high in Google’s SERP is hard. Because there are too many factors which needs to be taken into account. In top of that, you need to be aware of google’s penalties! One of them is hacked content spam. If your defaced website is flagged as harming users, Google will add you in its blacklist. As a result, you could loose up to 95% of your traffic from search organic result. And yes, this happened in real life as explained in this post! People buy from websites they trust. That’s the reason why credibility is the biggest challenge when selling online. The problem is web defacement literally kills it! Imagine if Amazon’s homepage is suddenly replaced by dinosaurs. Would you really trust it? While you could blame your colleagues for the first reasons, the last one should worry you. Because it means someone found a way to get into your system… without you noticed it! What techniques are used to deface a website? 🌎 The web server- once the credentials are obtained through FTP, defacers can easily manipulate the pages hosted on the server. 🖥 Compromised CMS- WordPress is the most targeted CMS by hackers. According to a WP study, sites get hacked due to inssecured themes (29%) or plugins (22%). 💉 SQL injection- Hackers exploit a vulnerability and insert a malicious statement into your site. This is what happened to Castorama (See impact 1). Why do people deface websites? The main reason is to get attention. In worst cases, web defacement is used as a trojan horse to install a malware! Recent statistics showed that website defacement is the 7th techniques most used by hackers in 2017. They usually target public institutions, media or corporate websites. Thinking you’re out of the wood ? 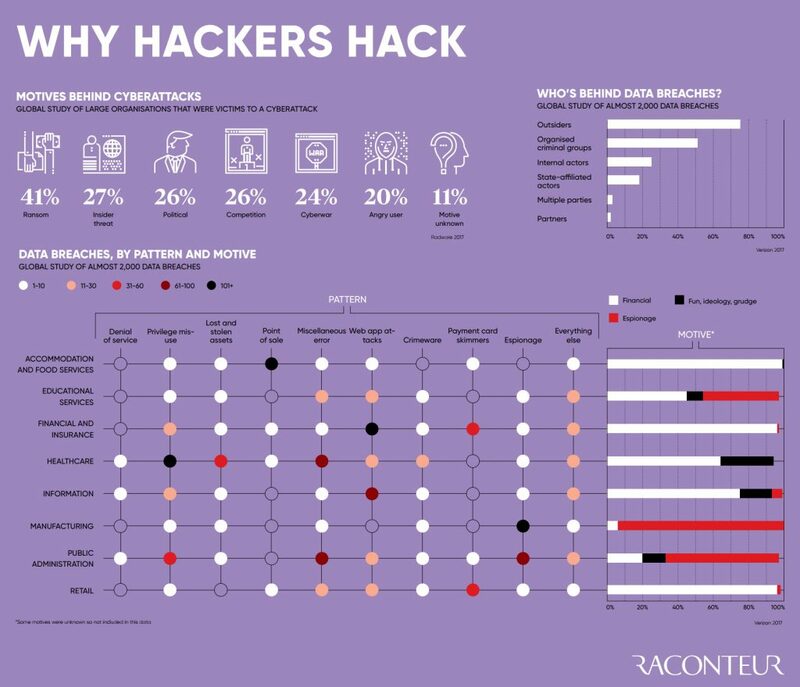 According to a study from Avast, defacement is the top type of hacks used against small websites! How to prevent your website from defacement? Simply by not allowing any changes from your original website’s content. As shown in the GIF below, all you have to do is setting up an „exact match“. This trick will help you to be alerted as soon as any physical changes is made on your site! 📽 Tutorials: Learn how to monitor a tracking code (G.A) and an e-commerce product page! If you’re wondering what’s in the matching sentence, please check this post! Web defacement is a pledge. Because it ruins all of your credibility in front of everyone! 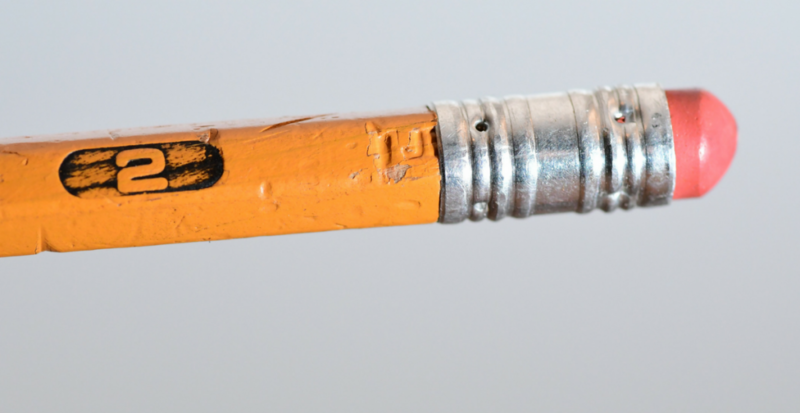 Above the branding damage, your business could also suffer from SEO and sales impacts. As we’ve seen in the examples, all types of website are at risk to be targeted by hackers. Not allowing content change helps you to prevent from it!